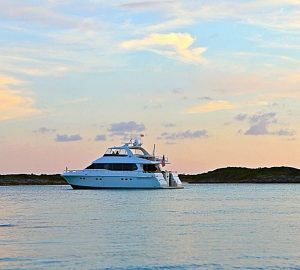 Luxury charter yacht ZION was built and launched by well renowned Lazzara in 2007 and measures 22.86 meters (75ft), the yacht can accommodate 6 guests in 3 spacious cabins, she is available for charter throughout Florida and the Bahamas. 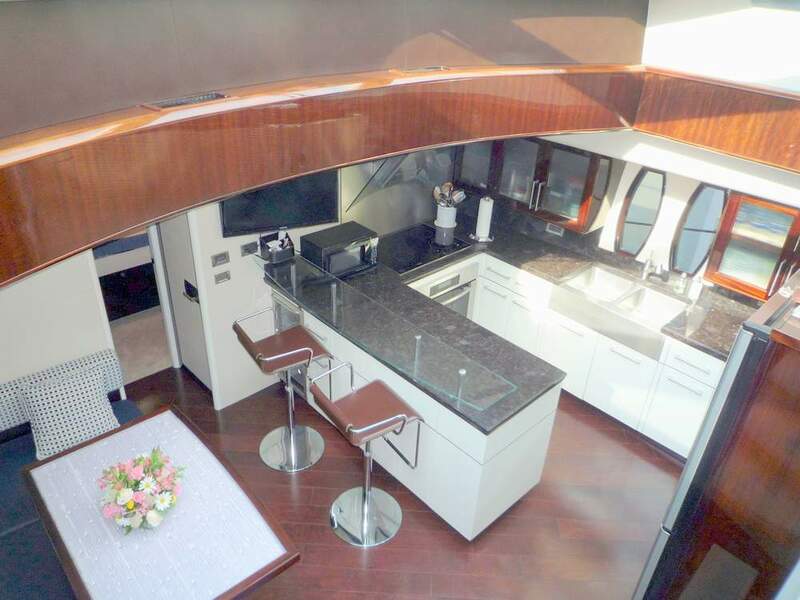 M/Y ZION has a modern yet elegant interior, the salon is light and airy, large windows allow ample natural light, a unique dark and light colour scheme work unobtrusively well to make a comfortable living space. 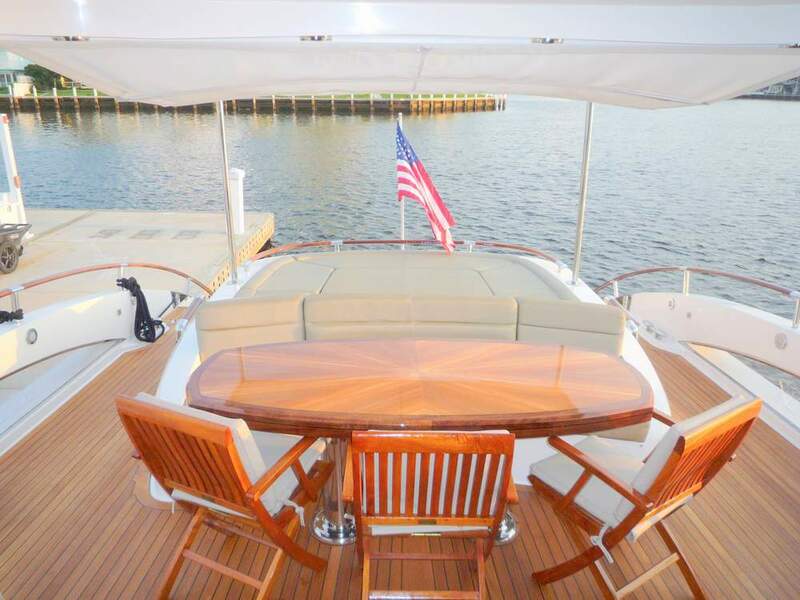 A retractable sunroof adds an element of the outdoors. 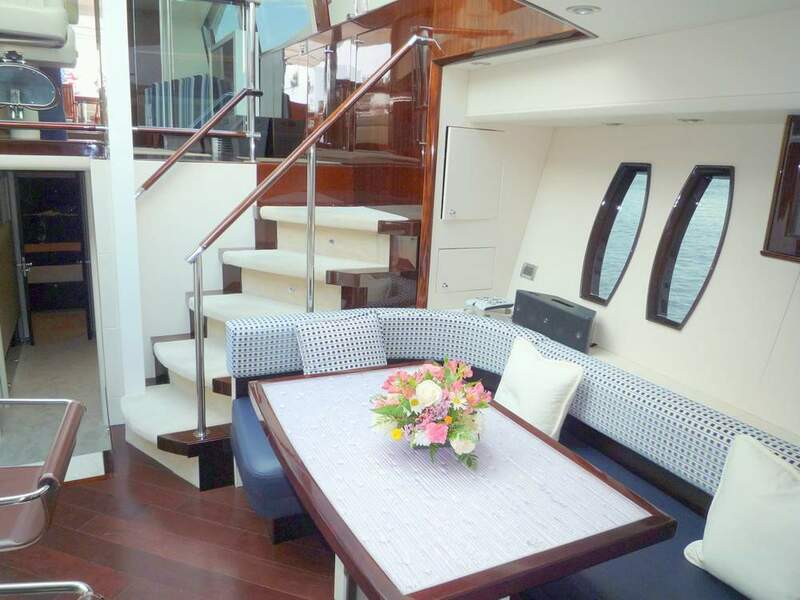 Steps lead down from the salon to an additional second salon and dining space, with galley and breakfast bar. 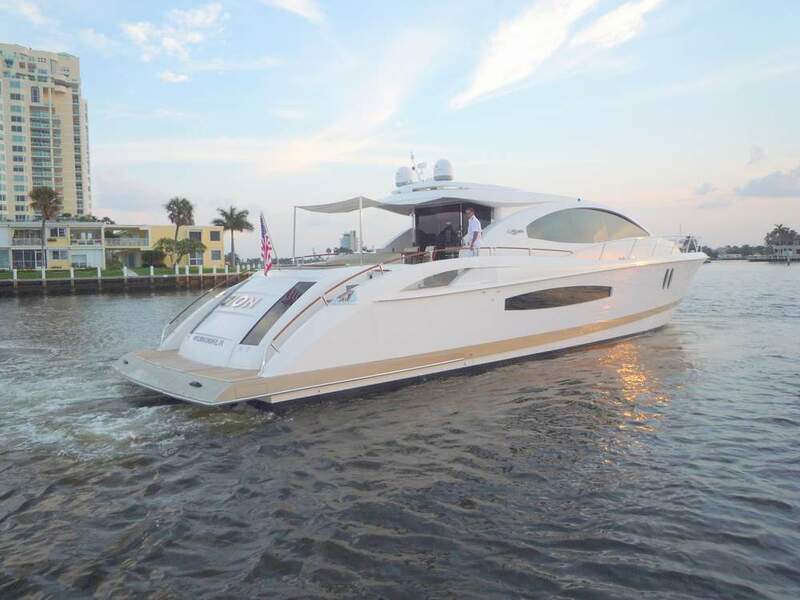 Motor Yacht ZION offers guests relaxing spaces on deck to enjoy, the aft deck has an alfresco dining option and double sun pad, with optional Bimini cover, further aft the extended swim platform is ideal for water access. 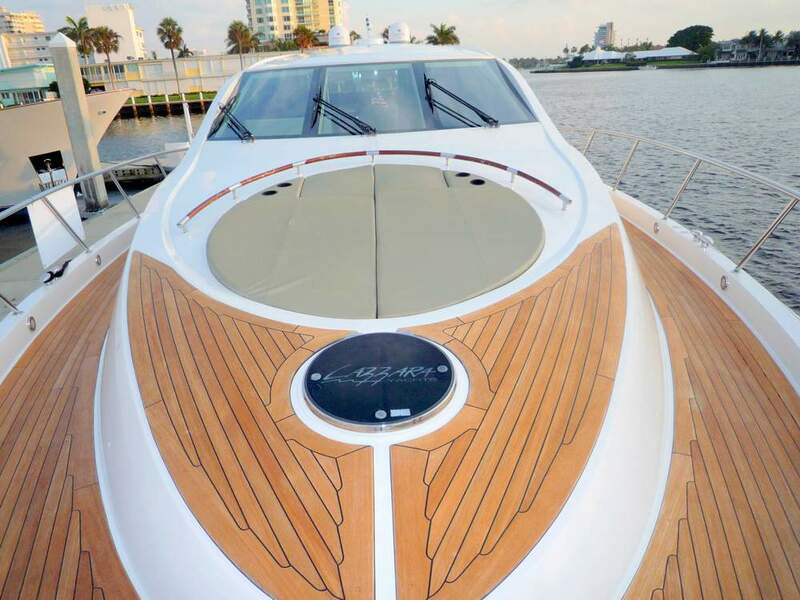 Forward the foredeck boasts a further large sunpad. 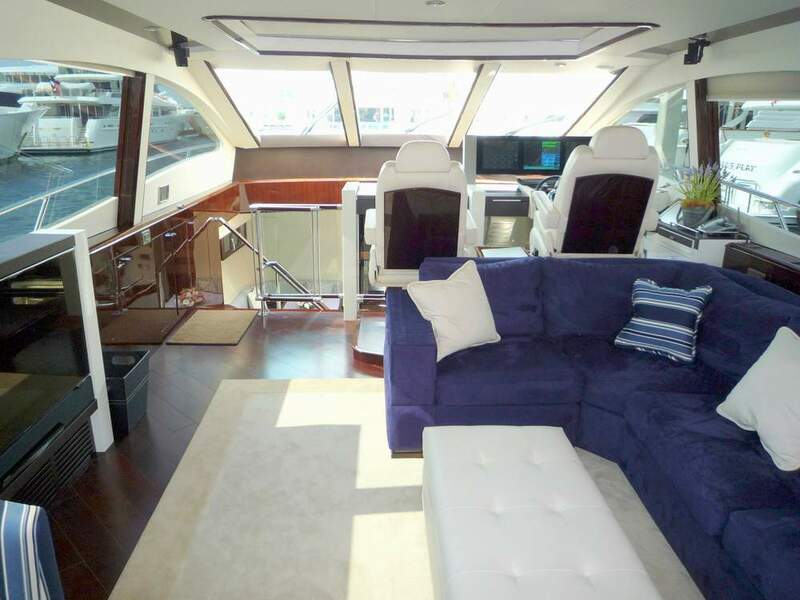 Charter yacht ZION has a beam of 5.5 meters (18.2ft) and a shallow draft of only 1.06 meters (3.5ft) perfect for navigation in otherwise inaccessible bays, the yacht cruises at 20 knots. 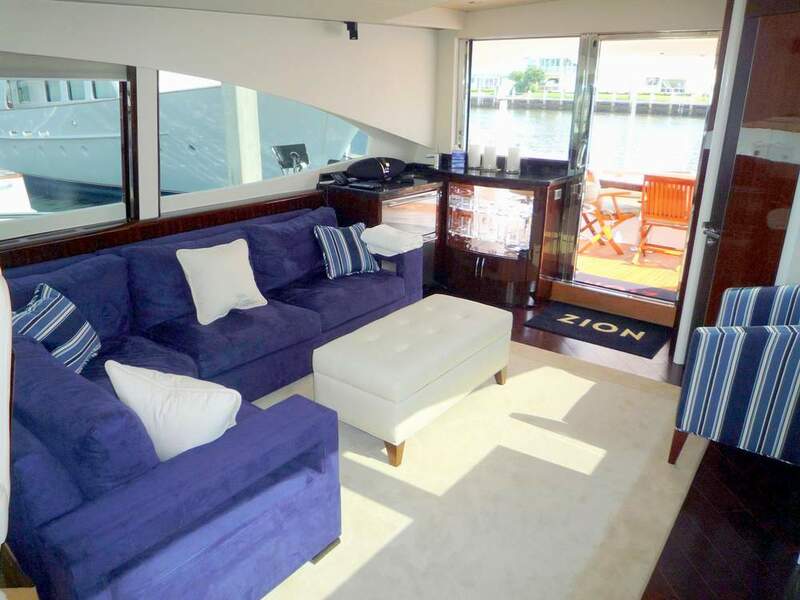 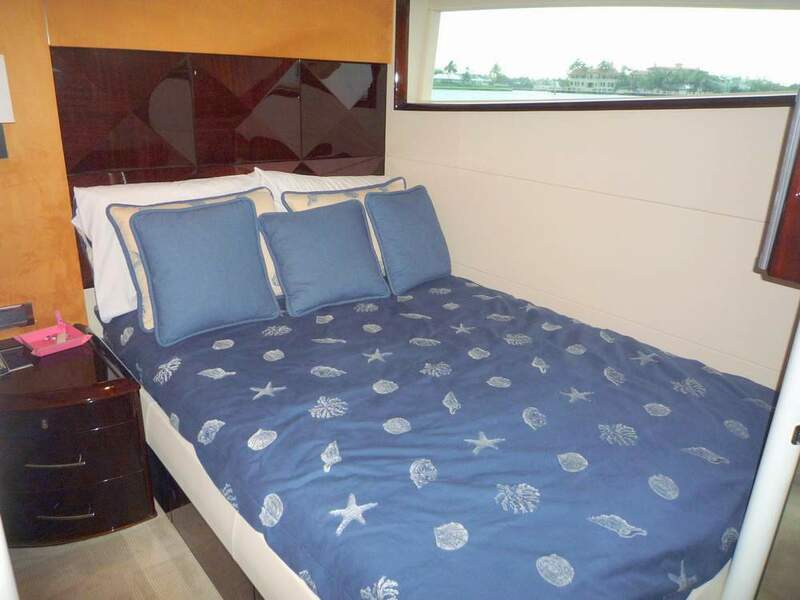 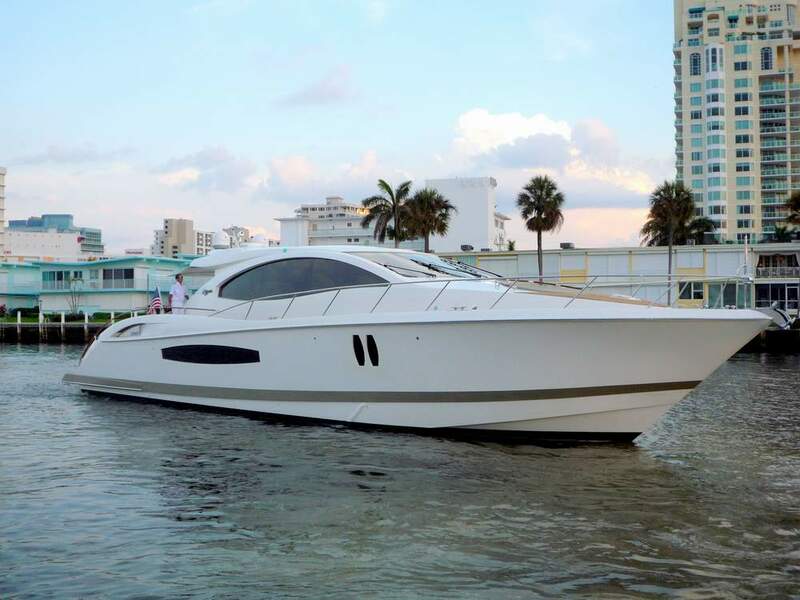 Luxury yacht ZION can accommodate 6 guests in 3 well-appointed double cabins. 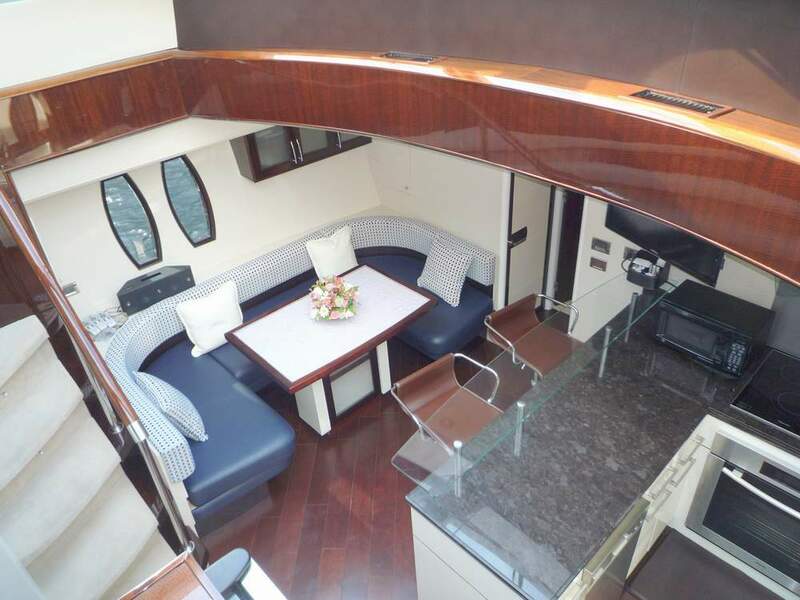 The master cabin is forward and full beam of the yacht, a further identical reverse cabins are amidships. 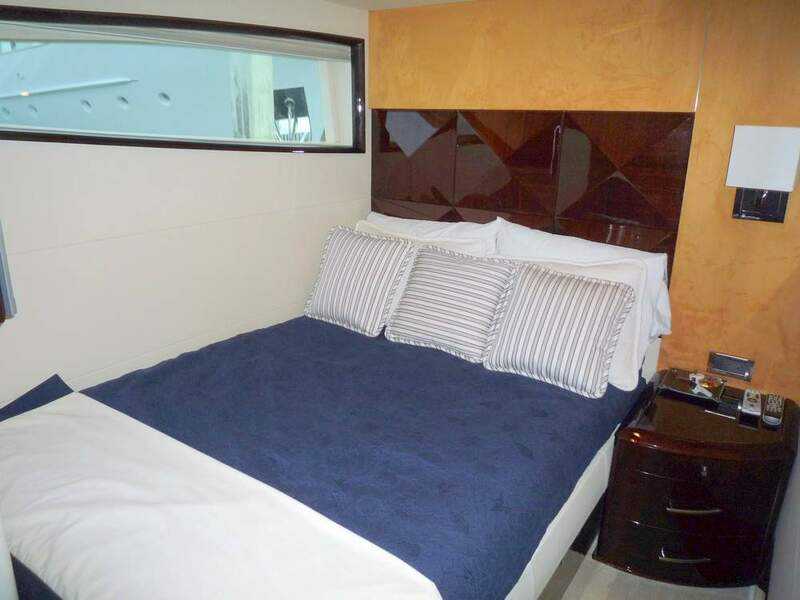 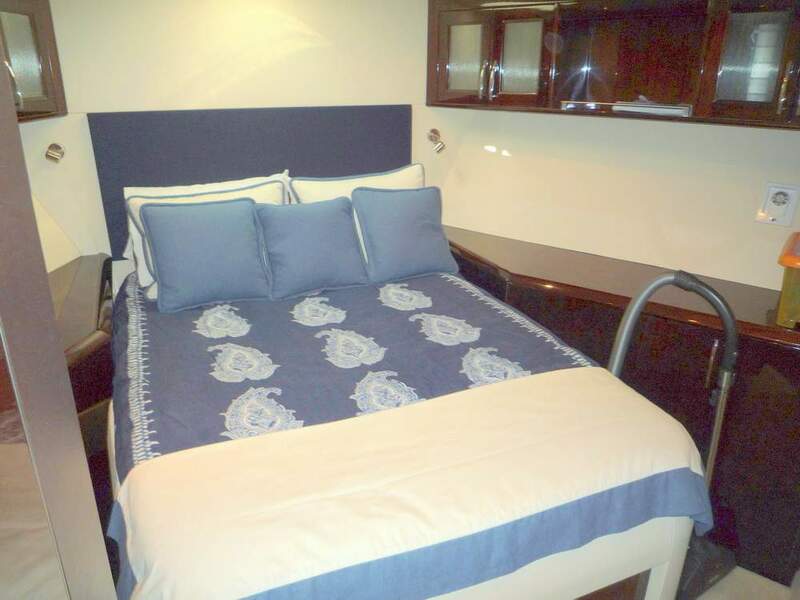 All cabins feature cool neutral tones and provide ample natural light and en-suite facilities.